I am up at 4AM for absolutely no reason. Might as well post some photos. 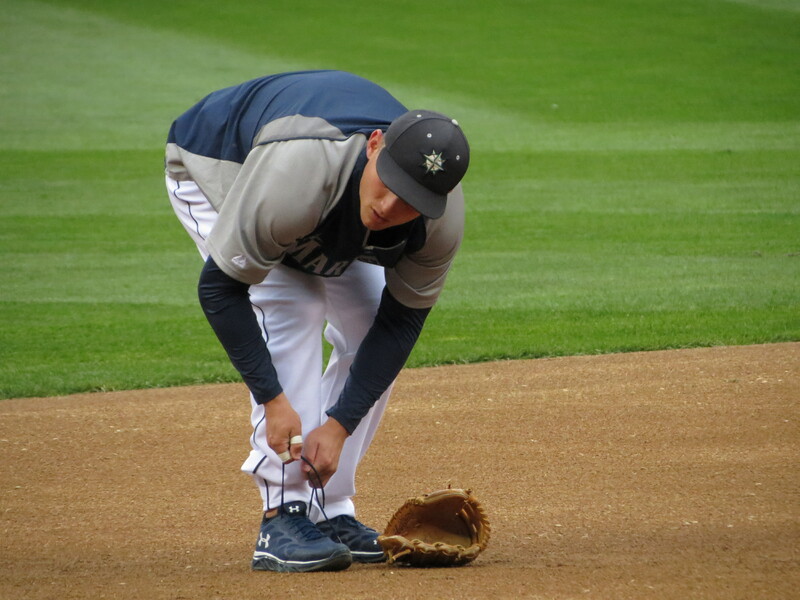 Kyle Seager, practicing proper shoelace safety. 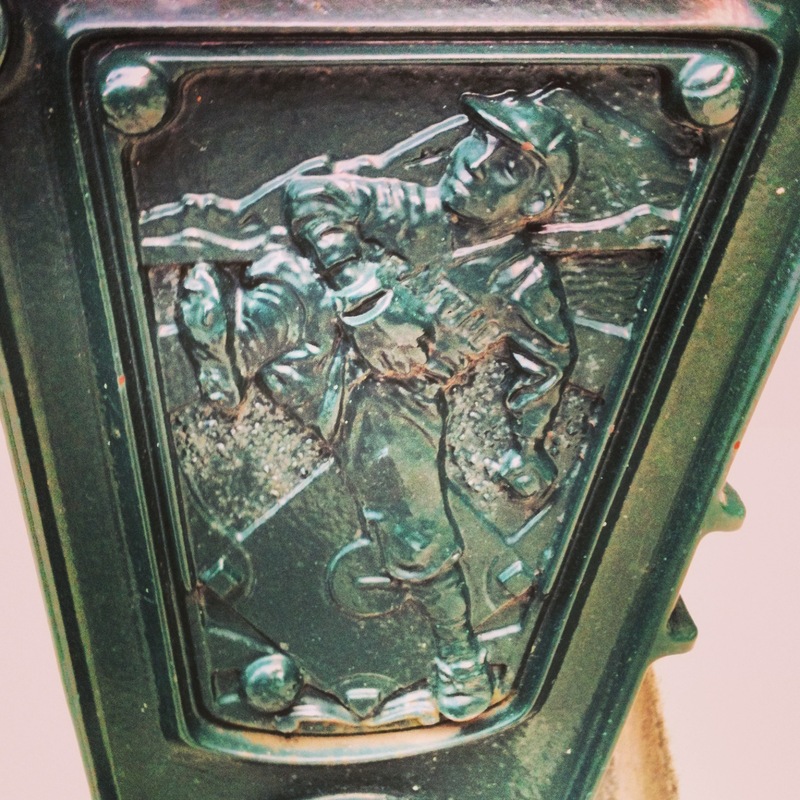 There were some non-baseball things I wanted to do while I was over on the east coast in April, and I was having a difficult time figuring out how to cram everything in and still see enough games to get the most out of my travel. One of those things was kindly deferred by my host, which frees up a lot of time and, indeed, money for me. So it looks like I will be attending a Nationals game Thursday, April 10th. I will also be doing a stadium preview on that stadium soon, along with a preview of Citizens Bank Park, as I will be in Philadelphia the following night for a game there, as well. My original plan was only to see an Orioles and a Phillies game, until I started thinking about how close everything is, and how easy it might be to see more. Now I’ve got three at least, and an extra afternoon in Camden Yards if I feel like I didn’t see or experience quite enough the night before. This is all working out rather swimmingly for me, and I’m getting more and more excited about this as the days go by. Mariners Fanfest is getting closer by the day as well, and it looks like they have actually gotten themselves quite a good lineup for this year. It makes me happy to know that Robinson Cano is cool with this. To me, FanFest is like a community outreach the Ms can do; it’s cheap, fans get to go places they don’t normally, and it generates (at least for me) a lot of excitement about the upcoming year. The fact that they do it two days in a row is just gravy. From what I can tell, a lot of other teams don’t. I am looking forward to hearing Lloyd McClendon speak so I can get a bit of a feel for what he thinks he can do for the team. I am hoping that it will not be business as usual. I really had no problems with Eric Wedge in general, but I with change, I hope, comes actual change. I want to be dazzled by McClendon; I want to leave that stadium having a true sense of hope for 2014. Maybe not World Series hope. But hope would be great. I have missed it. The other players I’m looking forward to seeing are, in no particular order, DJ Peterson, Logan Morrison, Mike Zunino, and Michael Saunders (Cano goes without saying). DJ Peterson, if memory serves, did pretty well up in Everett during the one game I was able to make last year (hoping to correct that situation this year, but I say that every year). 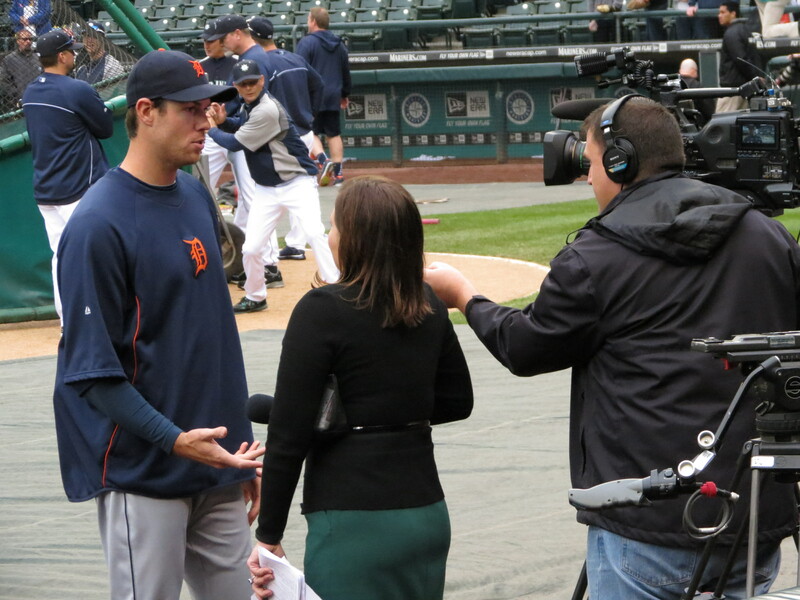 Logan Morrison I commend for showing up to a public forum where literally anything can be asked of him. Last year, one of the players (I cannot remember who) was asked a rather jumbled and awkward question about some girl he had met or gone out with or something; the girl asking the question was asking for a friend, and clearly trying to pin said player down (if anyone remembers this, please refresh my memory on which player it was? ), but failed to do so, and was dismissed easily with a non-answer. Logan Morrison has had some, er, questionable moments on Twitter, saying a lot of things that probably don’t really earn him any points within the general paradigm that is Seattle, and all it’s going to take is someone far more intrepid than I to ask what could be some very awkward questions. I hope this doesn’t happen, as witnessing something like that very much plays on my own fear of speaking in public, but I applaud Morrison for coming out and braving the possibility that it might. I want to like him, I really do. Let’s hope he doesn’t make it difficult for me. And of course the two Mikes, because I adore them both. Michael Saunders just recently avoided arbitration, and got himself a raise in the process. I hope to see Mike Zunino up here again after he works a little more on his batting, pretty please? The zip line is also making a reappearance. Again, I will pass, but instead will enjoy the screaming from the safety of my seat, blanket, and five pairs of socks. Now, I have to go slog through the last day of this awful work week (we’ve been really busy with coworkers out due to illness and vacation), and prepare myself for the ridiculousness that is this upcoming Seahawks/Niners game. Happy Friday! As always, great writing. I think you missed your calling. You should have a column in some paper someplace.